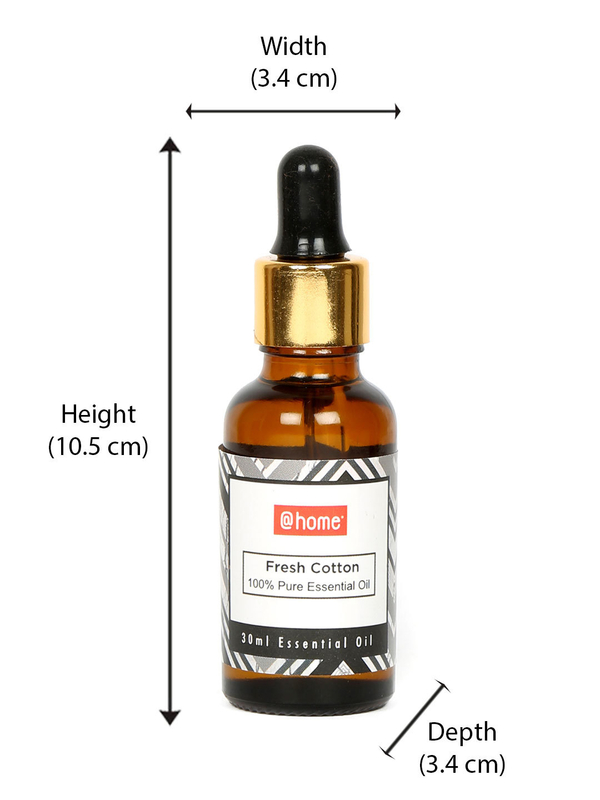 Naturally prepared by distilling, pressing & extracting oil from rich and aromatic plants, the Fresh Cotton Essential Oil has an essence of purity and ingenuity. It’s a balanced blend of citrus, powder & woods. The compounds of the essential oil have distinct benefits, right from calming the nerves to leaving you with a hydrated skin. The natural ingredient used in the essential oil makes it long lasting and aids your aromatherapy needs. With Fresh Cotton Essential oil, your house will breathe in peace & ease.